Animals are a major theme when it comes to comic book superheroes. Who doesn’t wish they had the proportionate speed and strength of a spider, amiright? But what about cows? Are there any bovine traits a superhero would want? Probably not! But let’s make this list anyway! We’ve looked at cats and dogs in comics before, because those are classic sidekick animals. But a recent art gag in a Marvel Comic sent me on a path of searching for cow characters in comic books! There aren’t many, but I’m pretty sure I’ve complied the Internet’s first list of the best and coolest cows in comic books! Join me after the jump if you don’t believe me! X-Cow is what inspired this list after she popped up in the most recent issue of X-23. I don’t think she is an established character. She appears to just be a background gag, a cow walking around the X-Mansion in a classic gold and blue X-Men uniform. Is she a cow with mutant powers? Is she a mutant who transformed into a cow? We may never know, but we can hope! Are the Amazing Cow Heroes cheating? It feels like they’re cheating. But I’m gonna run with it anyway! The Amazing Cow Heroes are a series of promotional comics handed out by the restaurant Chik-fil-A circa 2010. They featured such heroes as Kowrate, DeciBell, Gristle Missle, Cowborg, The Amazing Swatter and more. I don’t know what the comics were like and I don’t want to know. Thankfully, expert comics critic Linkara took a deep dive into one of the issues, so I don’t have to. So we don’t have to. Bat-Cow is a cow that Batman and Robin saved from a slaughterhouse after some criminal element tried to poison Gotham City’s beef supply. The coloring in her fur creates a mask across her eyes, so Robin quickly decided that they would keep her. In reality, that meant Alfred would be the one to keep her, instantly adding ‘cow care’ to his list of butler duties. 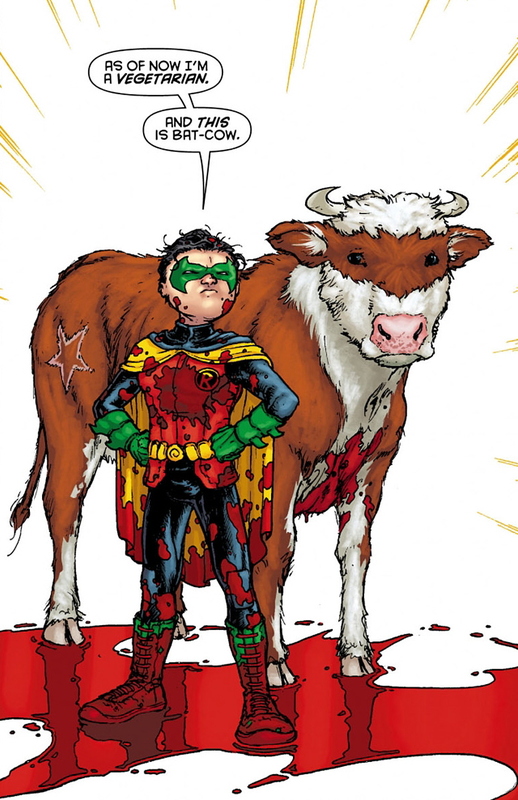 Bat-Cow was writer Grant Morrison at his most cute, and little has come from Bat-Cow joining the ranks of Bat-animals, like Ace the Bat-Hound or Alfred the cat. 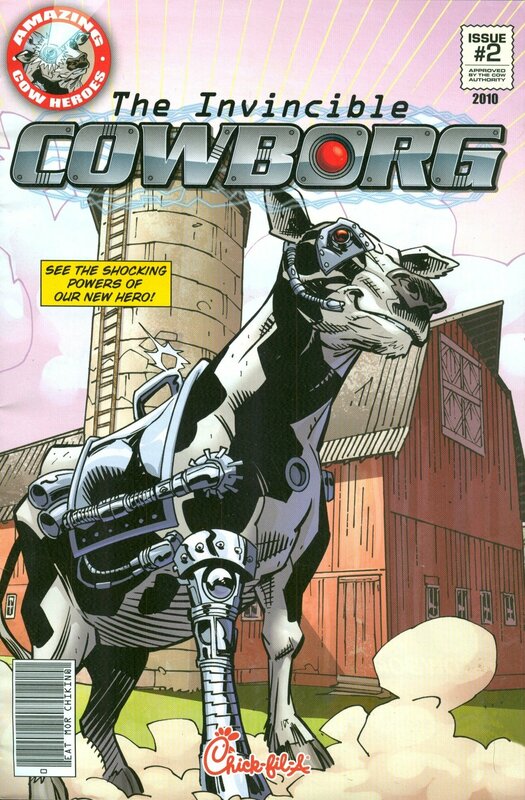 Bova used to be a cow…I think…until she was turned into a cow/human hybrid by the High Evolutionary. He’s all up into that turning animals into animal-people thing. 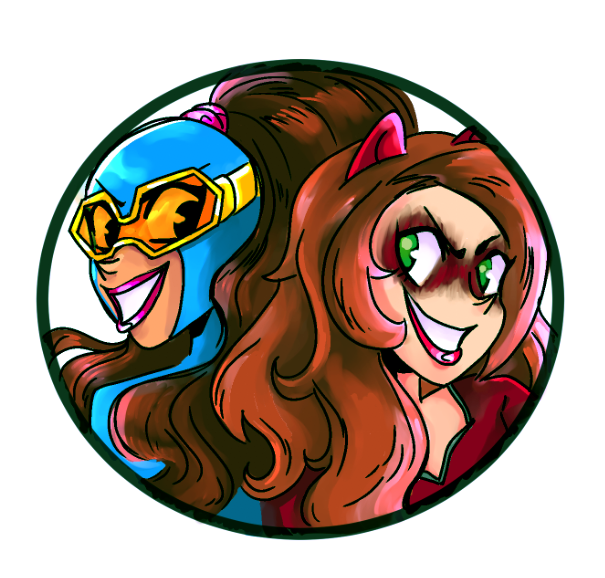 Bova is special in that she was the foster mother/nanny for Quicksilver and the Scarlet Witch. After Magneto’s wife fled his side, she ran to Wundagore Mountain, where Bova and the High Evolutionary lived. Bova was super kind about it too, raising those kids as proper people instead of cows. 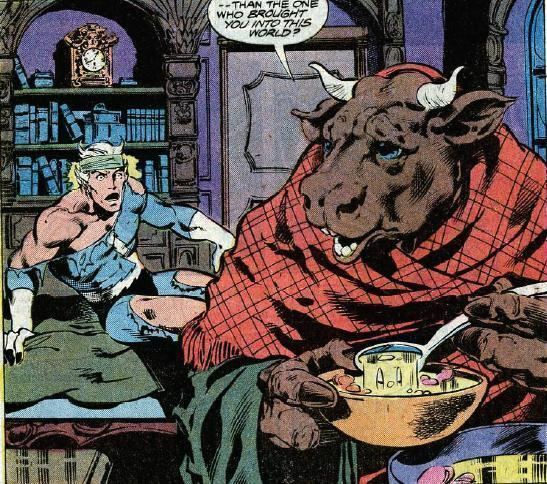 Hellcow is a classic Marvel character who is essentially a vampire cow. 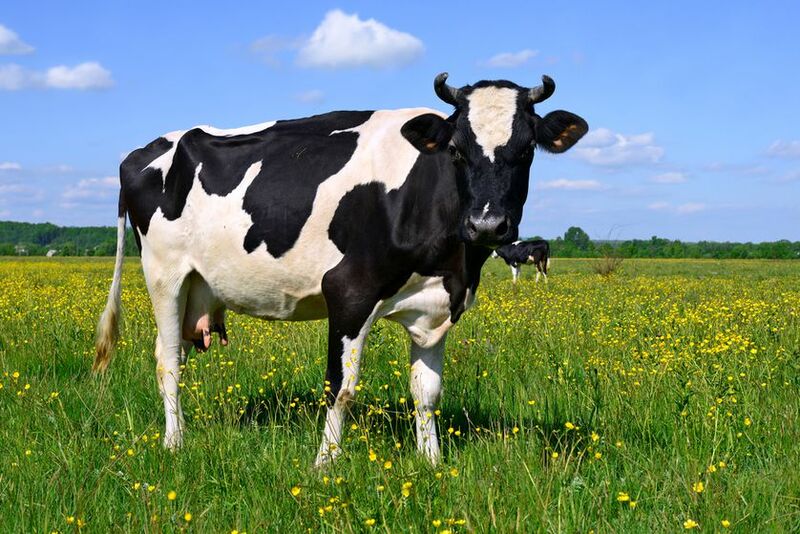 Bessie was just an ordinary dairy cow in Switzerland in 1675 when she was bitten by none other than Dracula himself! Hellcow would go on to trouble Howard the Duck in the 70s, then got revived to team up with Deadpool in a more recent comic. Leave it to a Deadpool writer to revive an insane Howard the Duck vampire cow idea from the 70s! Part of the modern plan was a bad guy wanted to gain immortality by drinking vampiric milk. Sounds like a solid strategy to me! Now here is a true hero! 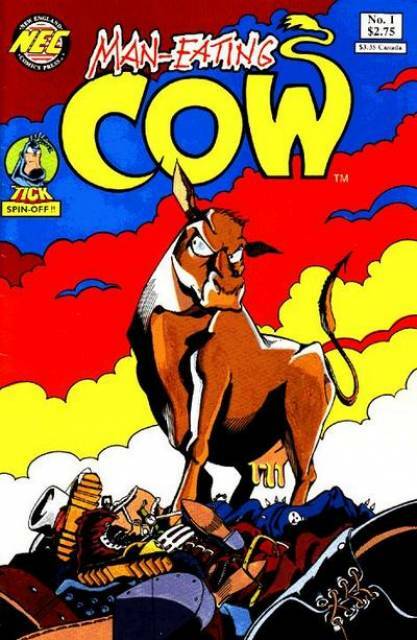 Man-Eating Cow is a spin-off from The Tick comics by Ben Edlund back in the day. She was the only survivor of Chairface Chipendale’s pit of man-eating cows and alligators. Man-Eating Cow escaped and decided to become a do-gooder, aiding The Tick in his various fights against crime. Much like Venom: Lethal Protector, Man-Eating Cow only ate bad guys and criminals. Not only did Man-Eating Cow guest star in The Tick comics, but she had her own short-lived series, showed up in The Tick cartoon show in the 90s and even had an action figure from the show! That’s pretty damn impressive for a bovine. Posted on August 8, 2018, in Comics, Lists of Six!. Bookmark the permalink. 1 Comment.